 As UA’s largest academic division, the College of Arts and Sciences is home to 22 unique departments that offer programs of study spanning the arts, sciences, and social sciences. Throughout the 2015–16 academic year, we’ll cover each department’s accomplishments, programs, and events. We’ll spend one week on each department before moving on to the next (but the posts will remain, of course, in case you miss one). Follow us on Facebook, Twitter, and Instagram for faculty spotlights, department highlights, and a chance to win free stuff as we learn ‪#‎AllAboutAS‬.